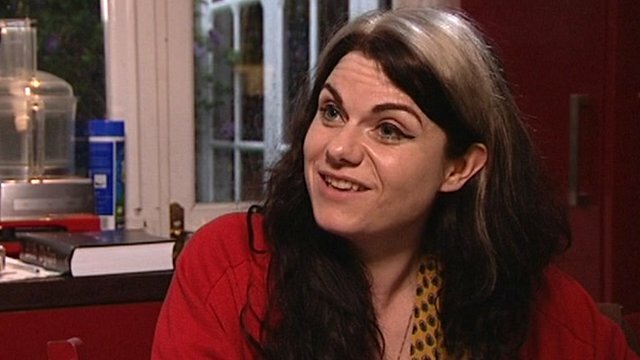 As part of the Birmingham Book Festival, this week I went to hear Caitlin Moran and Stuart Maconie in discussion, and had, as I had expected, a hilarious time, with some serious notes. 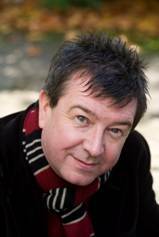 The stage was set up as a bar, and Moran and Maconie chatted away about politics, writing, television, life in showbiz and Twitter, and at the end of the evening I did rather feel as though I’d been listening to a conversation in a pub. Moran, who ‘collects anecdotes the way a battleship collects barnacles’ according to Maconie, launched into a description of her journey to Birmingham, involving lost tickets, Samantha Cameron and some drunk teenage Guns’n’Roses fans: she talks fast (as do I) and has so much to say for herself, so many ideas and opinions, that it will be difficult to give more than a flavour of it in a blog post. Moran’s book How to Be a Woman encourages young women (and older ones too, no doubt) to think about feminism as an obvious, necessary thing, not an ideology that’s full of theories and dull ideas but something that pertains to everyday life. It’s difficult not to be caught up inher infectious enthusiasm, and I’ve encouraged my students to read this book for a different, modern approach to feminism. This approach was much in evidence: Moran and Maconie talked about how television, for example, is a space arranged around men, and how women and other ‘outsiders’ can feel sidelined, forced to fit into a space they don’t fit. Moran’s advice, therefore, is that women should find their own space and do their own thing. Revolution, she says, is a great hobby for a girl, alongside fashion and practising kissing. Her sister describes herself as, not a feminist, but a ‘rogue suffragette’, which is a great term! 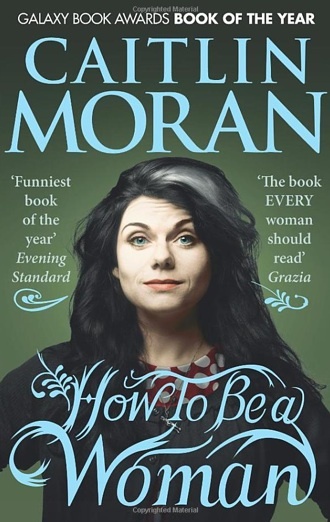 Both Moran and Maconie are refreshingly excited about ‘celebrity’ life: while Moran makes a point of ‘looking rough’ for photos, because the world needs fewer airbrushed over-made-up women in the media (hooray! ), she was also excited when the launch party for her latest book was attended by Claire Balding, who brought Jonathan Ross, who brought The Killers, who brought The Pet Shop Boys. Maconie’s showbiz ‘moment’ was when, at the Comedy Awa rds party, he found himself dancing between Sophie Dahl and the Chuckle Brothers. Popular culture, and its importance as something which can educate and change the world, at the same time as entertaining, was a major theme of the evening, though there was clearly the view that things have gone wrong in both television and popular music – but Moran, particularly, remains optimistic that things will get better, ‘because they always do after a slump’. The evening was also celebrating the soon-to-be-completed new Library for Birmingham, and Moran in particular is vocal about how wonderful libraries are as free resources where one can educate oneself (as she did) and access a whole world of information and entertainment. It’s difficult not to be enthused by her ideas, which come tumbling out in soundbites, from wanting to normalise the word ‘socialism’ (‘Would you like chips with your socialism?’) to how to change the world by telling stories, looking cool and doing things right. This post doesn’t really do justice to the humour of the evening, but does, I hope, cover at least a few of the interesting ideas which were discussed.